The wonderful thing about having a conservatory attached to your house is it allows the sun to come streaming in and provides a separate space where you can enjoy a cup of coffee, all whilst watching the world go by, flowers burst into full bloom and, of course, watch the seasons change day by day. 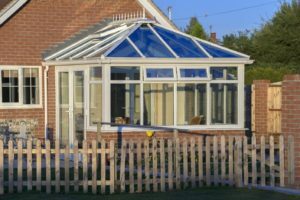 Unfortunately, conservatories can also mean additional heating costs, especially in the colder winter months. So, if you are looking for a suitable heating solution that will enable you to enjoy flexible heating that adapts to your surroundings and even reduces your electricity bills, our electrical heating experts may have the answer. A 30-year warranty is included with all of our Economiser radiators giving you full peace of mind. 24/7 programming provides the flexibility that you desire when it comes to heating your conservatory throughout the changing seasons. Easy installation enables you to access heating in minutes. Automatically senses when a door or window is open (with the window sensor setting) which will dramatically help to cut costs as it will ensure that the radiator shuts off when this occurs. Low height models are available meaning they can be installed directly below a low windowsill. This is especially useful in a small space such as that within a conservatory. The Smart Hub WiFi option provides access via your smartphone, meaning you can heat up your home before you arrive back from a day’s work or an exceptional frosty walk in the country. Our range includes a wide variety of sizes and wattage subject to room dimensions, which ensures that you get the most suitable radiator. If you are unsure then we are happy to help assist you online. These are just a small list of some of the many benefits to investing in one of our Economiser electric radiators. For the full list check out the range here where you can also read our customer reviews to see what they have to say. 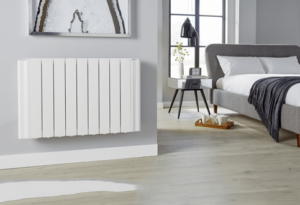 Are you still unsure about whether investing in an electric radiator is right for you? Here are some of the reasons why it may not only be suitable but also a good way for you to reduce your overall energy consumption. Thanks to their unique design, high glass ceilings and exterior walls, conservatories typically release heat much faster than other rooms within your house. 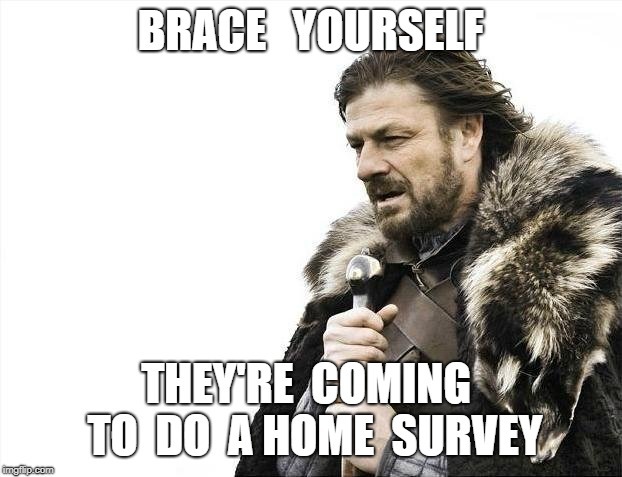 This is also still the case even if you have already invested in double glazing throughout. Electric radiators don’t require complicated plumbing or a trained professional to install. Their size means that they take up a minimal amount of space. They are much more cost-effective as energy is naturally converted into heat at a much faster rate. Underfloor heating will take a lot longer to heat the room up and is far more disruptive when it comes to the installation process, not to mention extremely costly if you have already had your floor laid. Of course, there are a whole host of options available to you which include air conditioning, gas central heating, trench heating and many more. If you would like to speak to one of our dedicated experts, then we are more than happy to assist you with any queries you may have and with no obligation to make a purchase. March 20th 2018 officially marks the start of Spring, that wonderful time when tulips, daffodils and bluebells adorn our British countryside, the sun shines down on us and of course, the clocks go forward, ultimately helping to put a little extra spring in our step. If you are thinking of doing a little spring cleaning, then here are some tips from our experts at Electric Heating Expert, who have also included some great advice on how you can take care of your electric heater. 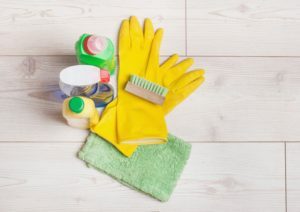 Before starting, make sure you have a to-do list and any cleaning products that you may require. Start upstairs until you gradually work your way down. By breaking it up room by room, it will be less daunting and enable you to ensure that nothing gets missed. If you are lucky enough to have Netflix then chances are you have already discovered Marie Kondo and her famous videos that cover topics such as folding your clothing so it stands up vertically, this is a great way of maximising space in your drawers and makes it much easier to see what you have. Any unused items can then be donated to a local charity shop or recycled at a nearby facility. We have all heard it before, a bedroom should be clutter and technology free to help maximise our chance of a peaceful night’s sleep. A great way to do this is to place a basket by your bed with a book, hand cream, reading glasses or those little things that you like to use for a pre-bedtime pamper. Most good mattresses will have a lifespan of approximately 8 years depending on how well you look after them. By flipping it every few months, you can even out the pressure that is placed on your bed springs which in turn will lead to a longer lifespan for your mattress and ensure that you get a good night’s sleep. They can easily be detached from your wall for cleaning purposes or should you wish to redecorate your house. 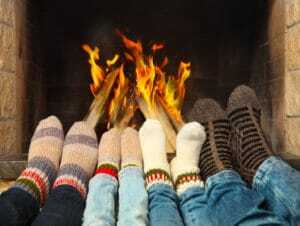 They do not burn dust particles or leave black marks on your wall as the traditional storage heaters can. The wide vents on our range provide easy access for dusting. The powder coating on our range helps to prevent discolouration or yellowing. 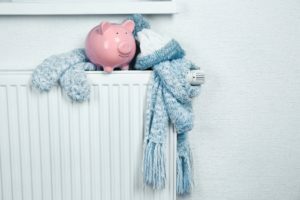 You can find more tips on how to save money on your heating bill here. Get rid of stray pet hairs with a rubber glove or a lint roller. A toothbrush and toothpaste can be used to remove stains in your fridge. Odours can then be eliminated with a lemon cut in half and placed on the top and bottom shelves. Clean your appliances – cooker (bicarbonate soda), dishwasher (baking soda), microwaves can be cleaned by placing a cup of warm water in and then gently scraping off dirt with a brush. Your washing machine can also be cleaned by running it on a hot wash with some white vinegar placed inside to get rid of smells, built up mildew and limescale. White vinegar is also great for descaling your kettle by leaving it overnight filled with half water and half white wine vinegar. Simply rinse in the morning and make sure you have done this thoroughly before making a cup of tea. 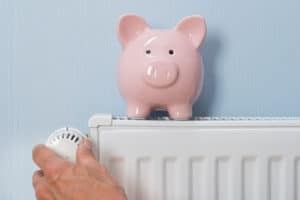 After being quoted £5,800 to heat 2 rooms by an alternative company, I found similar heating for 3 rooms with Electric Heating Expert for just over £1,200. Excellent product, easy to install and nice warm rooms with professional advice over the phone and no hard sell tactics. Thank you and a very happy customer. The economiser radiators are well made and great value for money. Service was excellent and ability to discuss requirements and best sizes was great. I bought a Vantage radiator as my flat is all electric. I wanted something that was modern in design and energy efficient that would be easy for me to install without having to pay for an engineer. The room is only a small bedroom but the Vantage 600w radiator pumps out heat and allows me to use it on a low setting, saving electricity. The thermostatic timer is excellent meaning I only have heat when I want it at a temperature that is suitable for the climate. I was able to ‘plug and go’ and hang the radiator with just a couple of easy install brackets. In summary it surpassed my expectations for cost effectiveness and modern ergonomic design. Electric Heating Expert website was clear and the ordering process and delivery were just what they said it would be. Thanks EHE!